Both the South Korean people and the ruling party are unsure about the possibility of expanding welfare. The hottest issue on the political docket in South Korea right now is welfare. To increase or not to increase — that is the question. The problem is that it’s not quite that simple. As a matter of distribution, welfare is a highly political and politicized issue. To increase welfare, meaning some combination of providing support for daycare, dole for the elderly, and cuts in tuition, among other things, will almost certainly mean an increase in taxes. Whose taxes will increase? That’s not known; indeed, this question is part of the larger debate. For those interested in the matter of welfare state expansion or retrenchment in “late” industrializers (e.g., South Korea), this issue will be of great interest. While it is uncertain how, exactly, this debate will ultimately unfold, here is a brief summary of what’s going on right now and what we can expect. The people are not sure what it is they want. A recent Real Meter poll (commissioned by JTBC) shows that a plurality of respondents (46.8 percent of about 722 people) favor welfare cuts over a tax increase (34.5 percent think that a tax increase is needed to pay for welfare; 18.7 percent didn’t know what to think). However, a majority (52.8 percent) of the respondents support an increase in the corporate tax rate. The latter finding is a bit confounding given the first. Why tax big firms if not to more equally distribute the resources (money) acquired? The simple fact of the matter is that South Koreans might not support more welfare, if it means that they have to pay for it. The ruling Saenuri Party isn’t sure what it wants, either. Earlier this week, there was talk about Saenuri, under its new “anti-Park” leadership, challenging the official Blue House position on taxes and welfare – that is: “welfare without increasing taxes.” After only a day (or so) had passed, JTBC reported that the Saenuri leadership supported a reduction in welfare. However, on Thursday Kim Moo-sung stated, in rather unequivocal terms, that “no difference in opinion exists between the [Park Geun-hye] government and the Party [Saenuri]” on the issues of welfare and taxes. His comments were followed up by new party floor leader, Yoo Sung-min, who remarked, “I will not insist [on any particular position]. I will keep an open mind and be ready discussion.” Is this strategic dissonance, or does Saneuri simply not know what it wants? It seems any one guess is just as good as the other. While people may get caught up on what politicians, party chairs, and presidents are saying about the future of South Korea’s (largely underdeveloped) welfare state, the fact of the matter is that the conditions aren’t right – or ripe – for expansion. For starters, the “international trend,” something South Korean politicians and bureaucrats are inclined to follow, points in the direction of welfare state retrenchment. The reasons for this are manifold, but, as political scientist Paul Pierson found in his study of the contemporary welfare state, the “politics of retrenchment,” not expansion, is the new normal. Aside from international trends, one has to consider the people currently in power in South Korea and the structure of South Korea’s economy. Most politicians come from white-collar backgrounds and worked white-collar jobs before ascending the stairs of the National Assembly. Nicholas Carnes, in his book White-Collar Government: The Hidden Role of Class in Economic Policy Making, finds that, insofar as economic policymaking is concerned (e.g., welfare policies), those from white-collar backgrounds are going to vote for white-collar interests (i.e., against corporate tax-funded welfare expenditures). While his study focused only on the U.S. Congress, his main contention is portable as an explanatory argument (or is at least test-worthy in a South Korean context). While it is unclear how the politics of taxation and welfare will play out going forward, the signs, from a top-down and bottom-up perspective, seem to indicate that welfare isn’t going to be expanding much, if at all, in the near future. KBS recently began publishing articles describing how South Korea political parties have manipulated public opinion with social media. 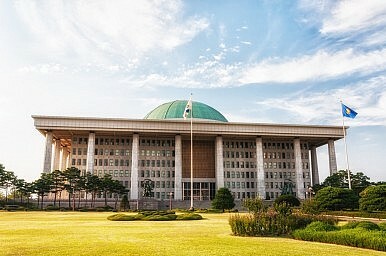 South Korean Constitutional Court Unanimously Upholds Park Geun-hye ImpeachmentWhat's Next for South Korea's Center-Right?South Korea's Ruling Party SplitsEmbattled South Korean President Park Geun-hye Announces Intent to Resign, Conditional on LawmakersWill the Saenuri Party Survive Park's Scandal?